Just figured I'd share some screenshots of my Minecrafting. This game is like playing with Legos; you mine material and build stuff with it. Click an image to view full. 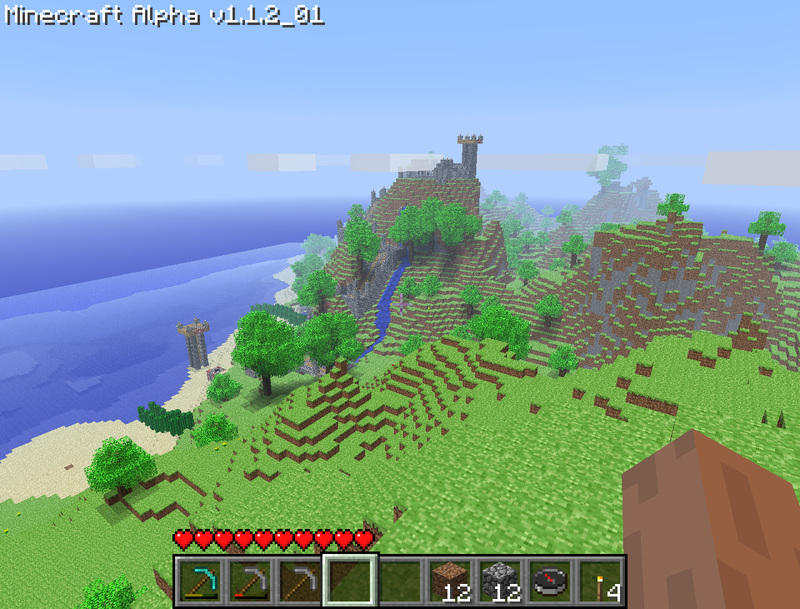 I have a tower down on the beach and one on the mountaintop over there. They act as beacons so when I'm out exploring I know how to get back. 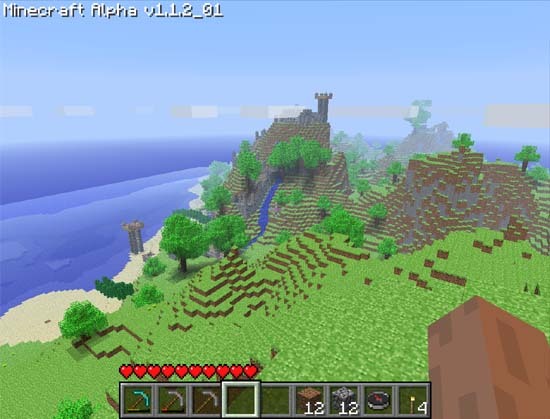 The mountaintop is also the location of my current home. It's just made of cobblestone, but it does its job. 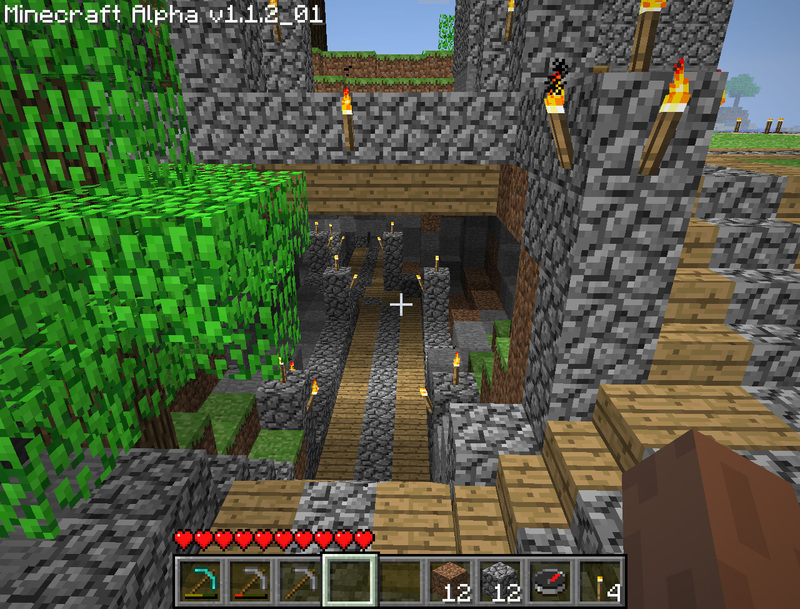 The entrance to my main mineshaft. What you don't see is the labyrinth of passageways I've created down there. I have a spiral shaft that goes all the way down to bedrock (the bottom of the map) with all sorts of horizontal shafts that branch off of at various levels. This mountain is the location of my future home. 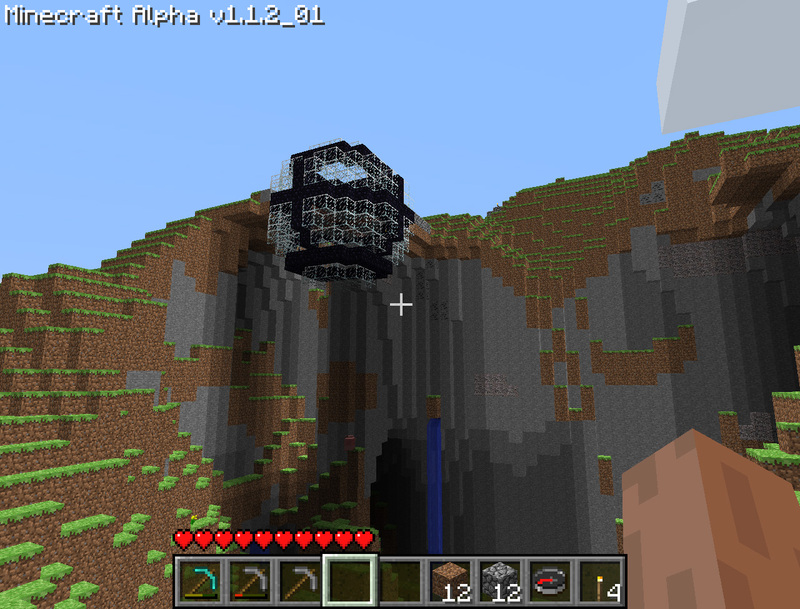 I have plans for an epic castle up there, but so far all I've got is my glass observation sphere built. It's built of glass (duh) and obsidian. It's going to take a while to mine the resources I need for the castle. It's a long term project. @ Anonymous: No, but I've gotten this level of satisfaction from every The Sims and SimCity (I don't count SimCity Societies as a "SimCity" game).